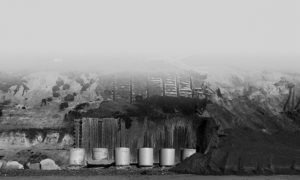 James Harris Gallery | Amir Zaki: "Impermanence"
James Harris Gallery is pleased to announce the fifth exhibition of works by Amir Zaki. This new body of work features monochromatic photographs depicting two series of images. In one, Zaki has captured images of individual trees truncated from their roots and isolated against a background void of detail. The other depicts panoramic views of somber beachside cliffs. Thematically consistent with Zaki’s work, the content and inspiration of this exhibition derives from the Southern California landscape. Zaki seeks to explain the paradoxical yet simultaneous movement and stillness within each of his images. 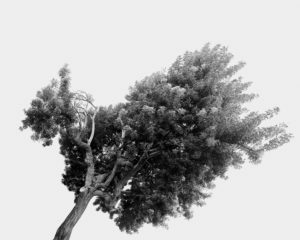 In a series of tree portraits, Zaki has individualized an aspect of nature usually viewed in the entirety of a landscape. 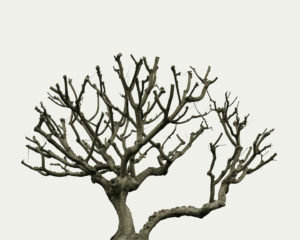 By singling out a tree and removing any sense of ground, we are compelled to observe the eccentric yet elegant features found within the branch, trunk and foliage. 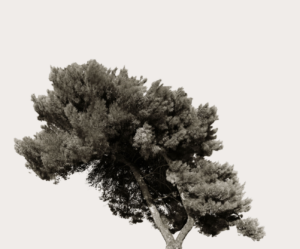 In regards to selection, Zaki stated, “ When I scoured the landscape for trees, I looked for those that expressed a form that was very dynamic, particular, and peculiar, but never manicured to look good.” Zaki seeks to highlight the imperfections and unintentional beauty in each of his subjects. The aesthetic and philosophical Japanese concept of wabi sabi is a concurrent element throughout Zaki’s exhibition. This transient and unintentional artistry reminds us of our temporality, while also mirroring the melancholic decay that surrounds us. 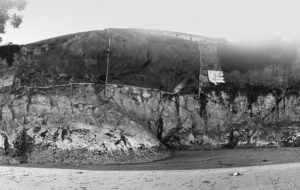 The second series of images illustrates scenic Southern California beachside cliffs. Contrasting the stark isolation of the tree portraits, these cliff sides show a more intricate and functioning scene. The architectural elements prominent within each image inspire a conversation between the natural and manmade elements of each scene. The location and unstable positioning of these manmade structures highlights a more realistic temporality and physical impermanence. 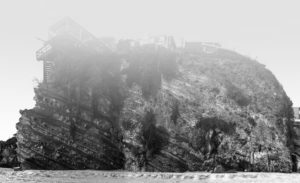 Each image is a compilation of the view shrouded in fog throughout the day, as time moves slowly. Amir Zaki currently lives and works in Southern California. His work is featured in the museum collections of The Armand Hammer Museum of Art and Culture at UCLA, Los Angeles county Museum of Art, Whitney Museum of American Art (NYC), Henry Art Gallery (Seattle), New Museum of Contemporary Art (NYC), and the Madison Museum in Wisconsin. Zaki’s work is part of Los Angeles’ Creative Artists Agency, the Dacra Collection in Miami Beach, and corporate collections at Microsoft, and the Progressive Corporation.